my homeboy, Ryan Nunn, who eats whole foods will share his favorite workout smoothie recipe, let you in on how he fuels up for his rigorous gym routine, and share how he keeps his diet clean while being a busy dad. Ryan and myself will be hosting the presentation and I will share a few workout recipes also. Hear his story, try the shakes, get some bars! you all have been begging for this one. I'll share my sweet treat secrets with you all. I will. I'll be demo'ing: wild orange temptations, sunflower butter bars, and salty chocolate trail mix bars. Many of you have been going crazy over the temptations and the salty choc bars... well, they'll be here! And you can buy some for the fam to take with you. mom on the go or road biking excursion... everyone needs some plant fuel in a mason jar. 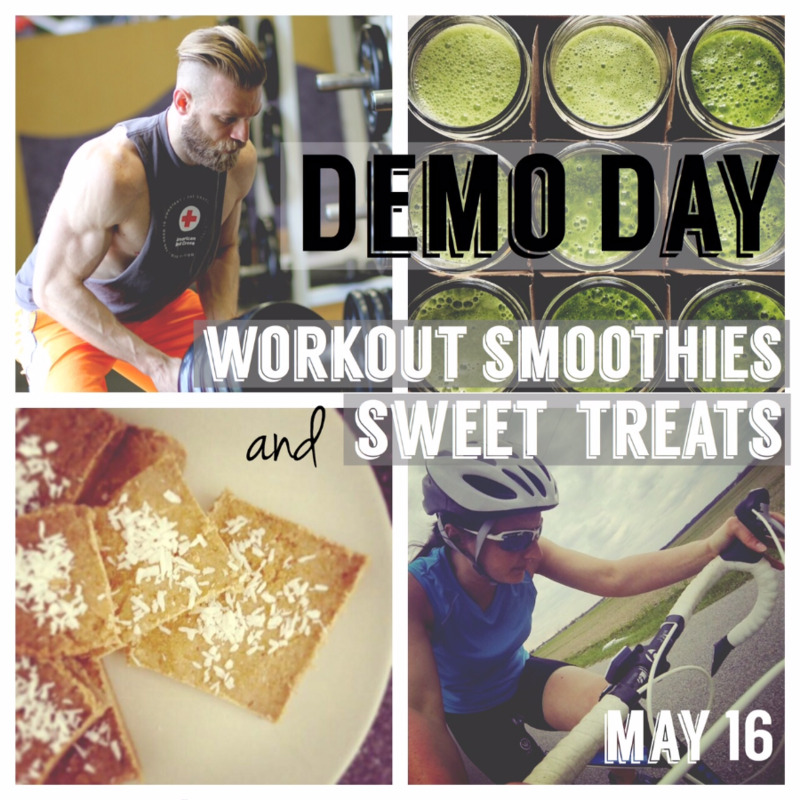 Join me for a workout smoothie demo, sharing my favorite recipes and letting you sample them!